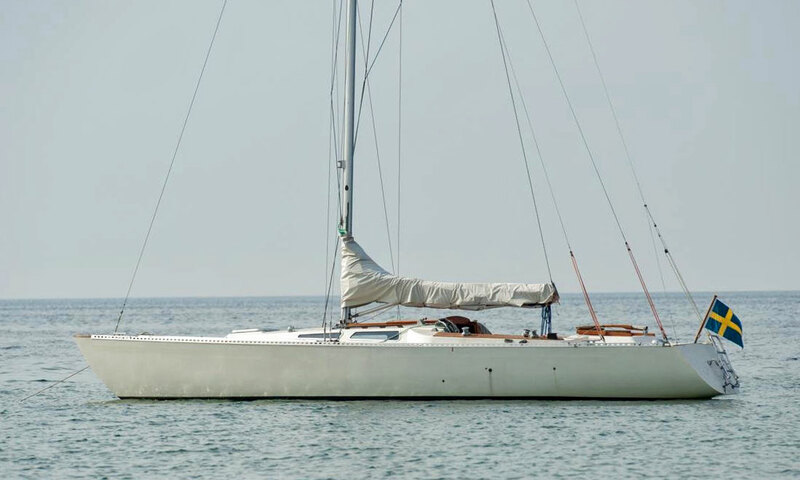 Welcome to this ever-growing gallery of some of the most popular cruising yachts between 35 and 40 feet (10.7m to 12.2m) long overall. 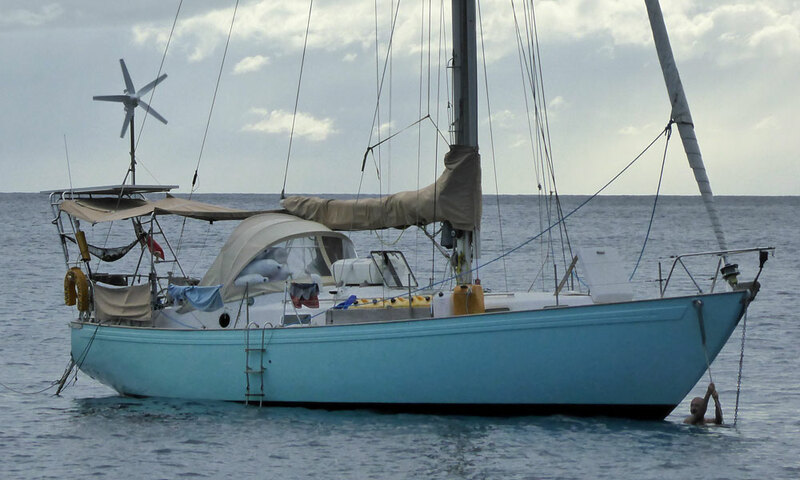 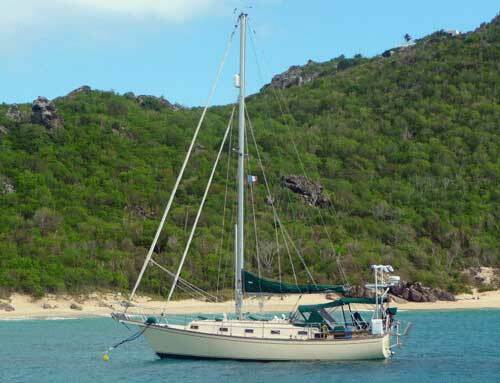 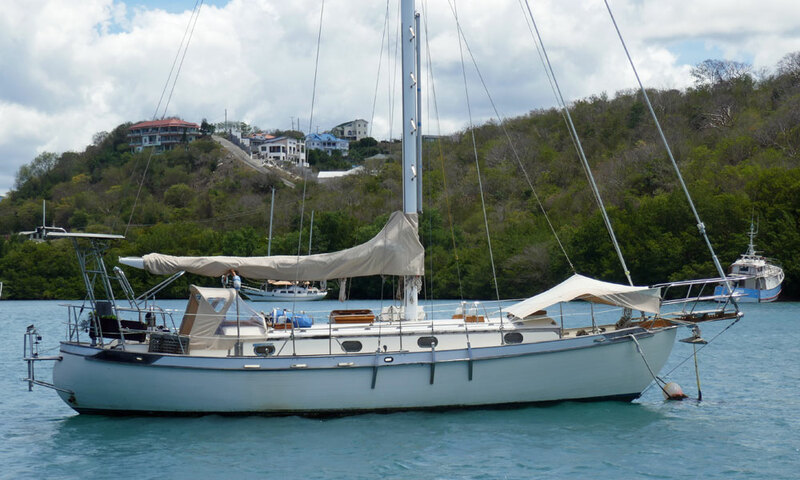 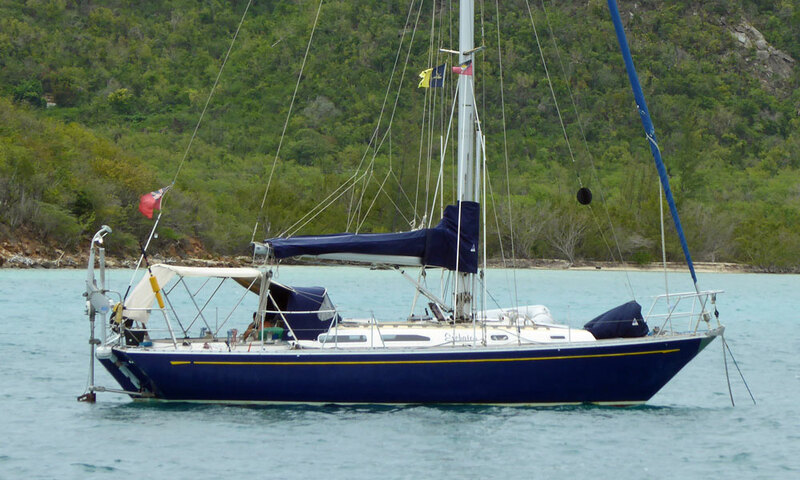 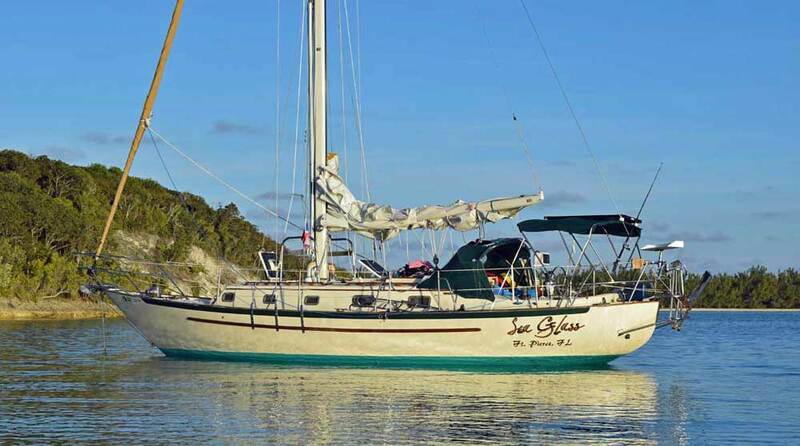 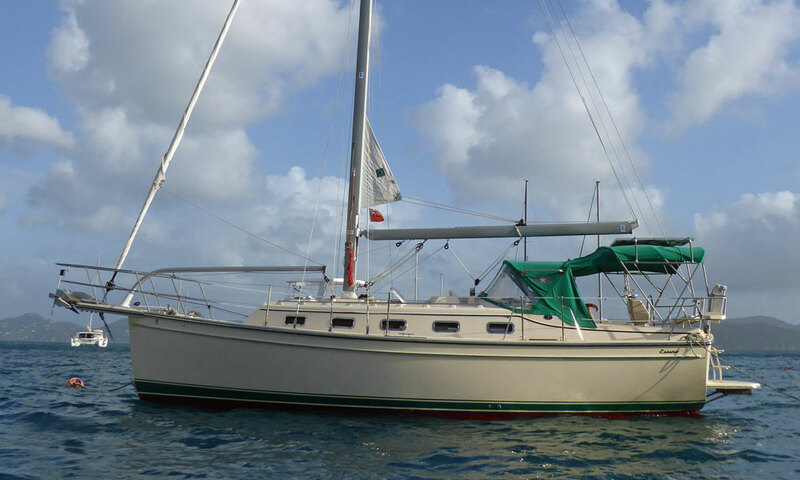 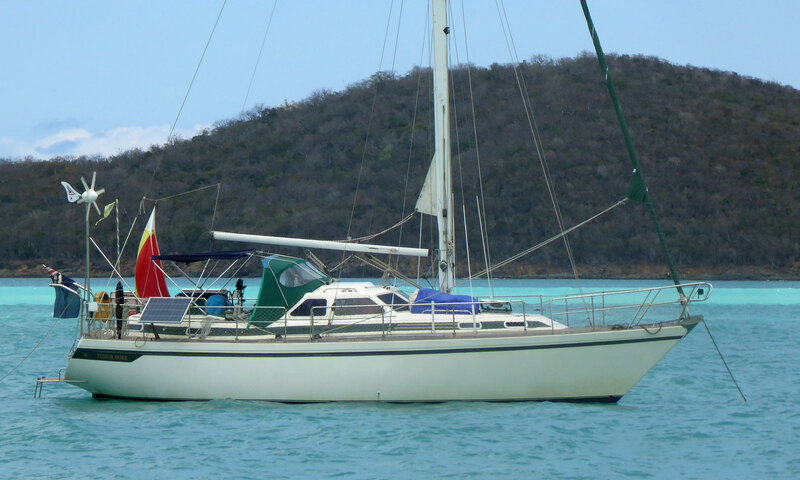 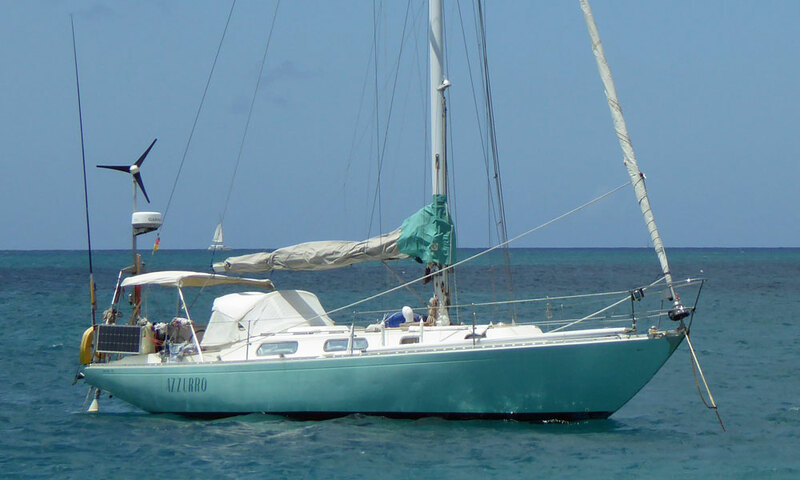 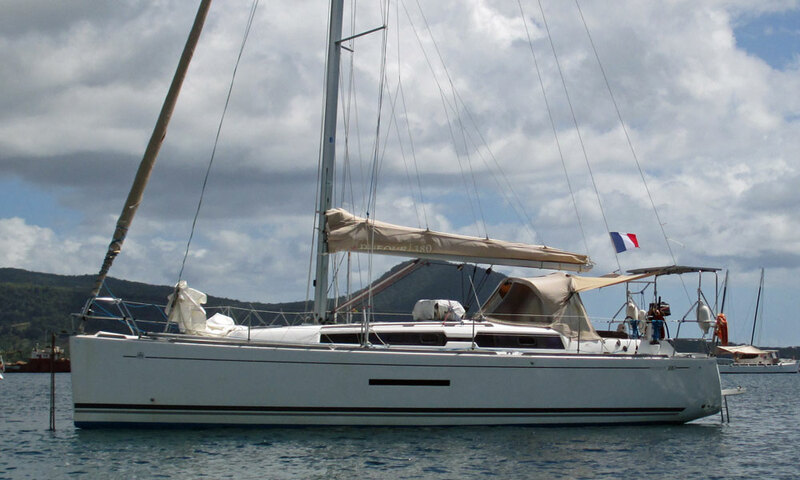 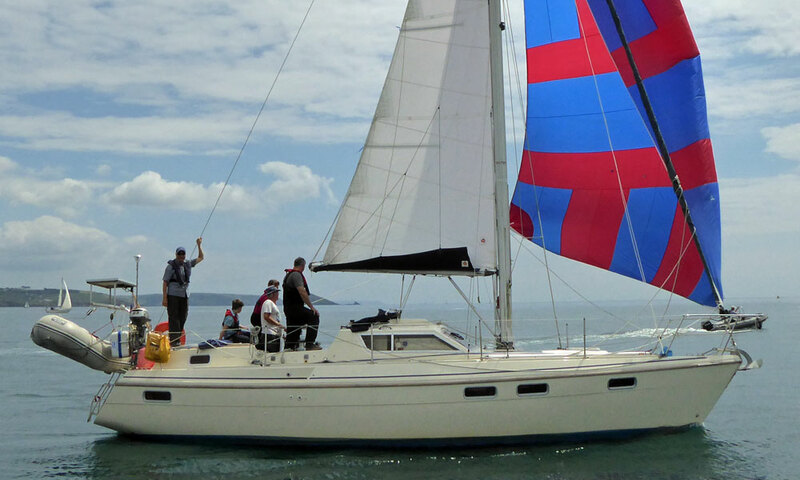 Medium sized cruising boats like these are often the sailboat of choice for short-handed crews, and if properly equipped and maintained, will take long offshore voyages in their stride. 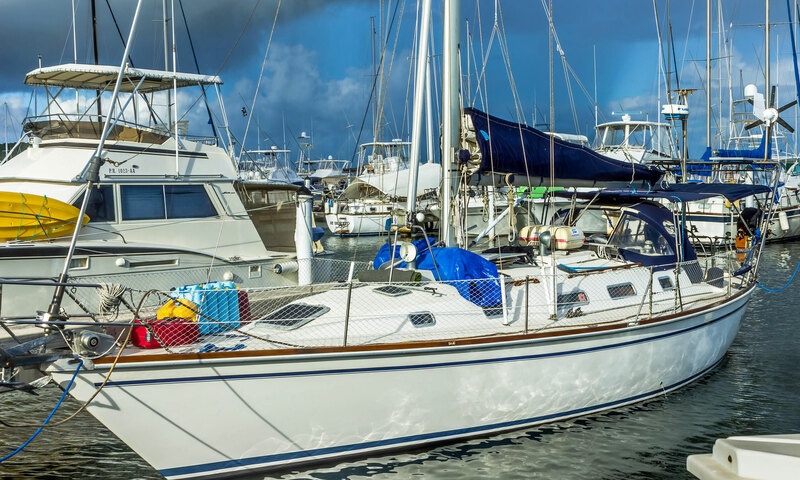 Sailboats at the top of this size range, those above 12m long overall, will find that they are charged considerably more in marinas than those that fall just under 12m LOA. 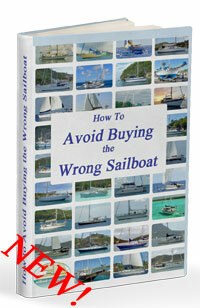 Something worth bearing in mind perhaps. 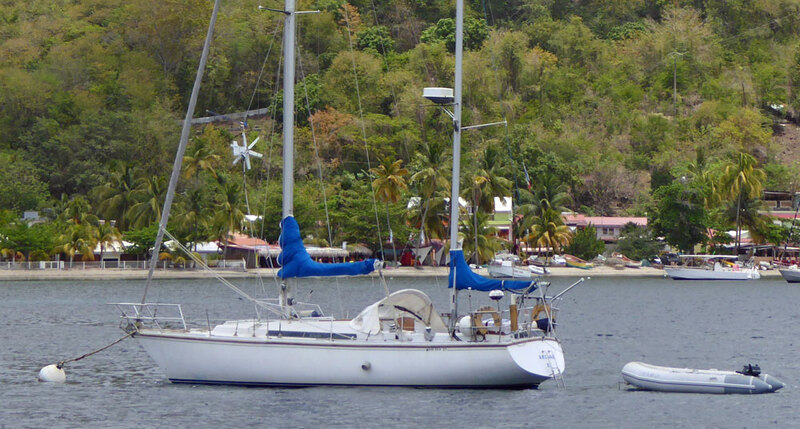 An Island Packet Estero 36 - note the characteristic Hoyt jib boom. 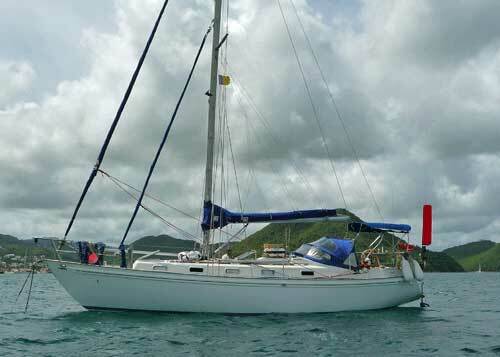 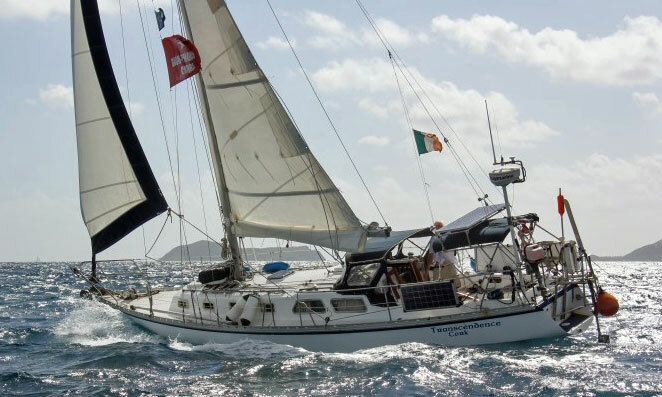 'Haven', an S2 11.0 powers through the waves on passage from Guadeloupe to Antigua. 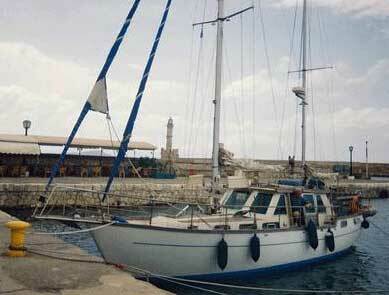 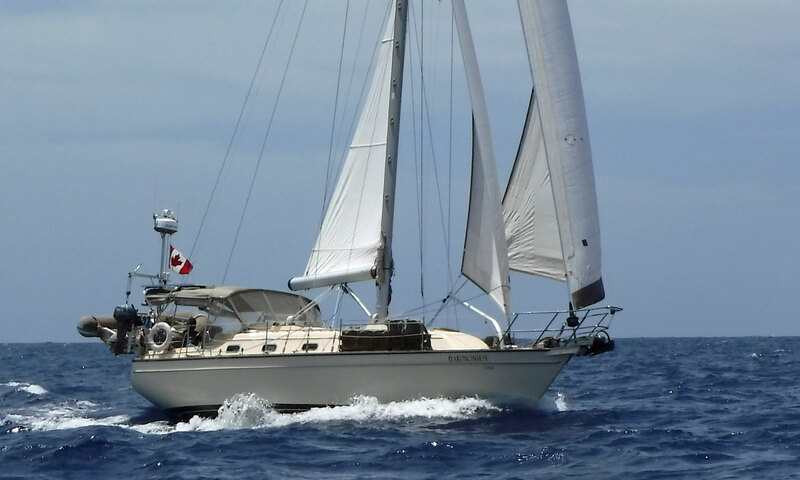 Many thanks to Crystal and Rob Bleecher for this pic of their fine cruising yacht. 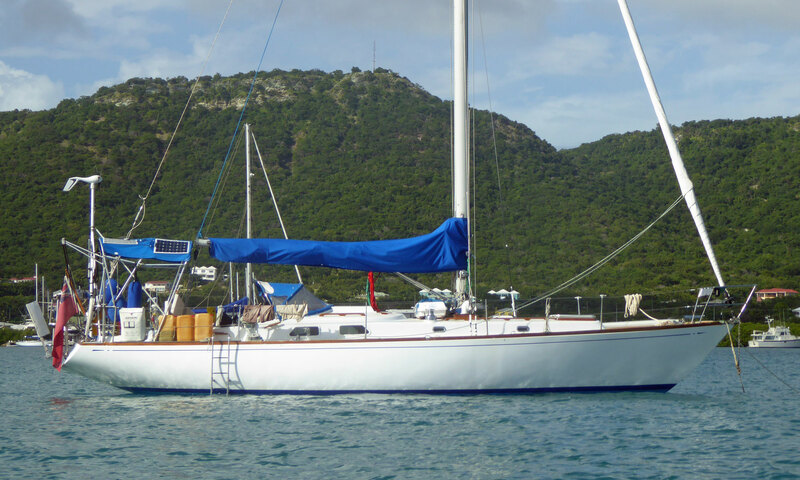 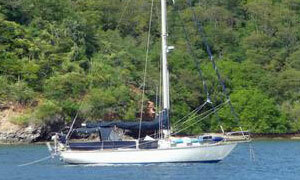 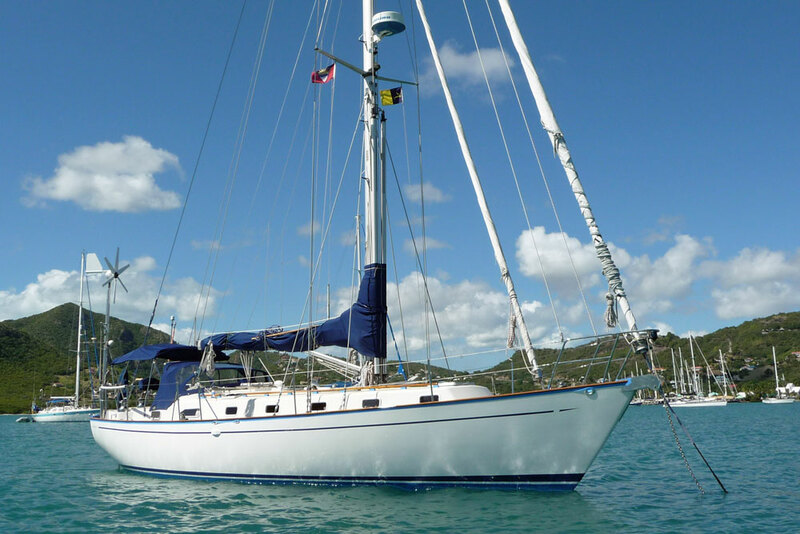 'Teragram', a classic Sparkman & Stephens Swan 40 at anchor in Falmouth Bay, Antigua. 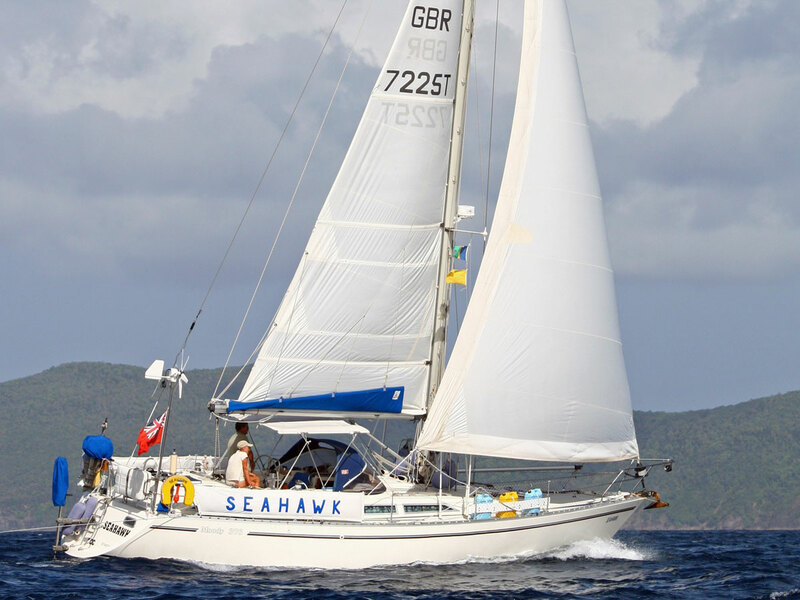 Many thanks to Barry Bateman for this great pic of his boat. 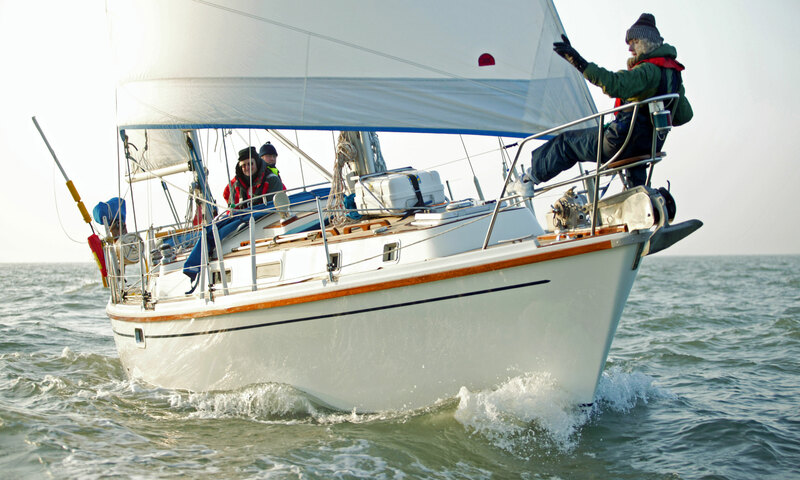 'Weohgi', a ketch-rigged Westerly Conway 36, winter-sailing off the south coast of England. 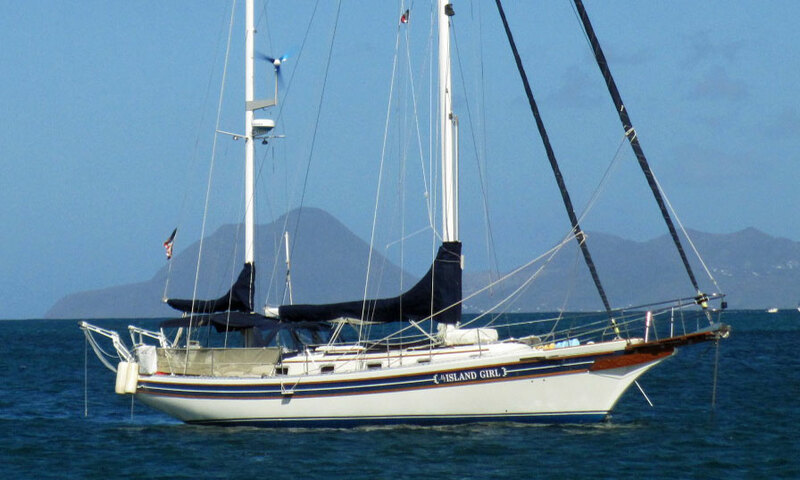 Many thanks to owner Geoffrey Mills for the pic. 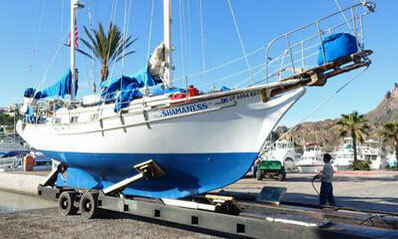 Reefed down, 'Transcendence' - a Cascade 36 sloop - is making good progress into a short chop. 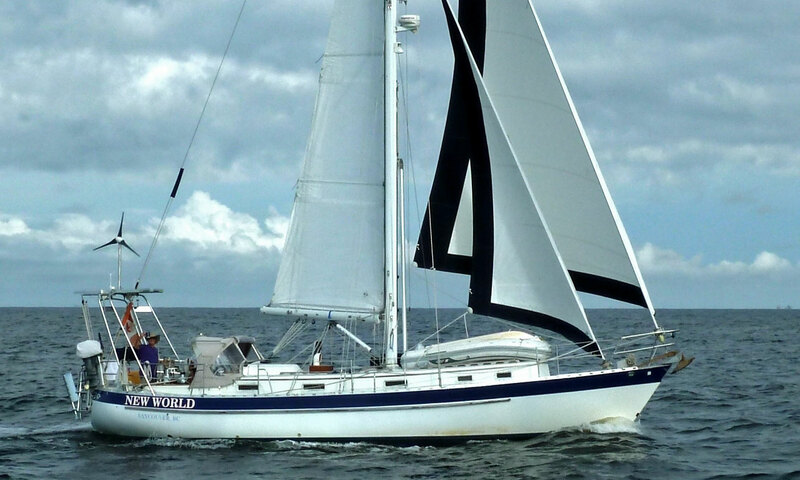 Thanks to owner Michael McLaughlin for the pic. 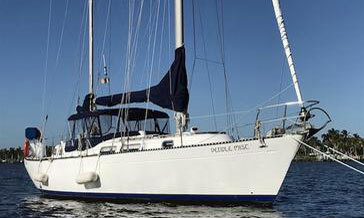 Hull Type:~ Fin keel with spade rudder. 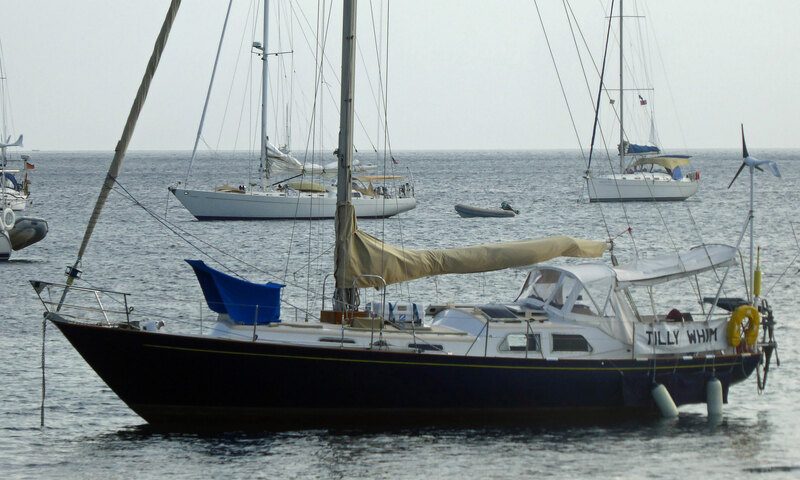 Thank you, Han van der Stap, for submitting this pic of your stunning yacht 'SysterSol'. 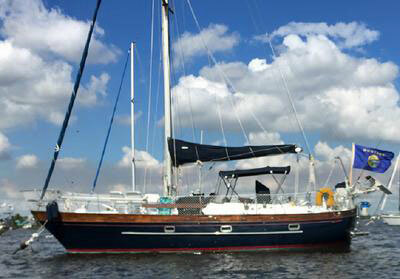 As you say, she is "a beautiful Swedish boat, sure and fast, for long distance cruising." 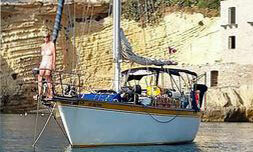 There are two versions, the 30HR (High Rig) and the 30LR (Low Rig). 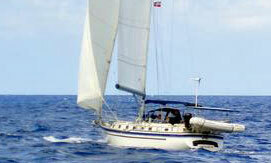 'SysterSol' is the 30HR which will account for her high performance. 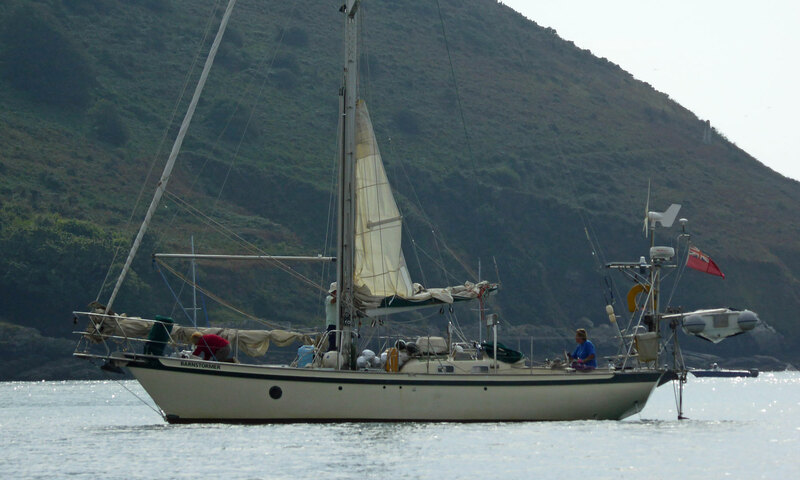 Many thanks to David Humphreys for submitting this great pic of 'Gabriel', his ketch-rigged Allied Princess 36 Mk2. 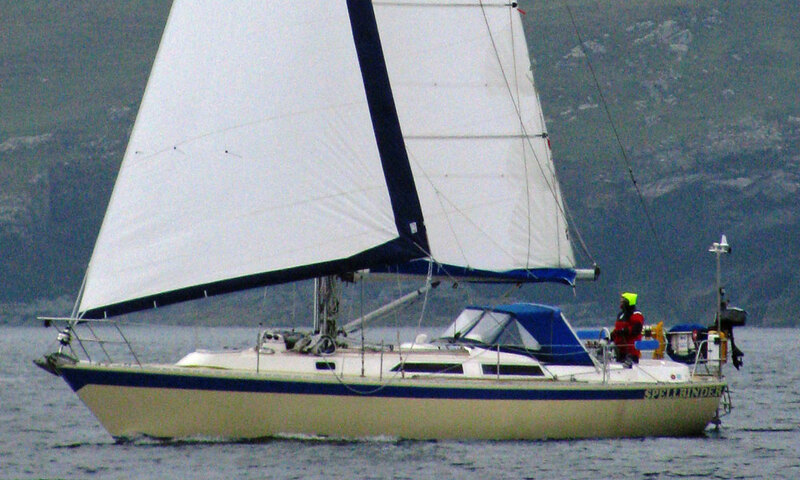 The Mk2 version was introduced in 1980, unlike its predecessor, sporting a bowsprit. 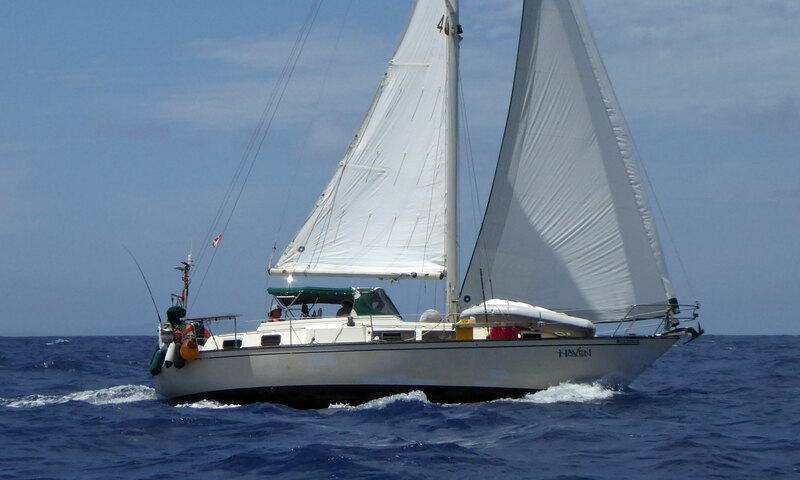 Both versions were available as either ketch or cutter rigs. 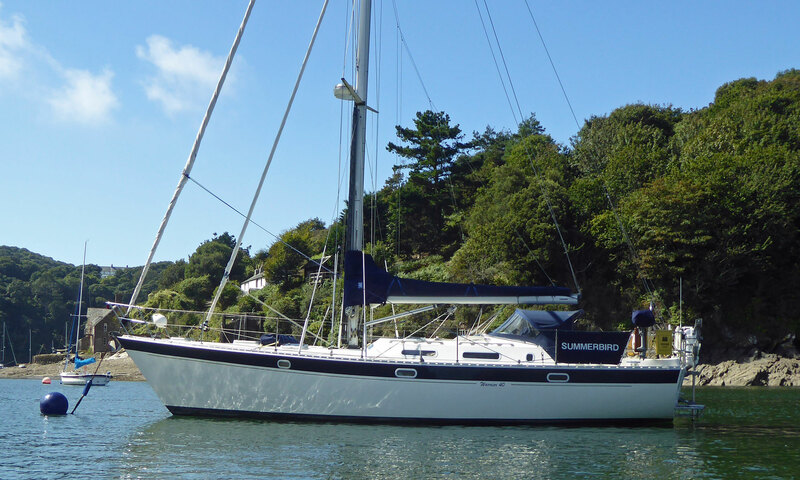 David tells us that 'Gabriel' (hull #130)has been well maintained and up-graded since her commissioning in 1980. 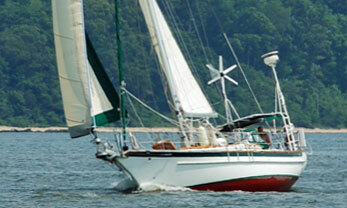 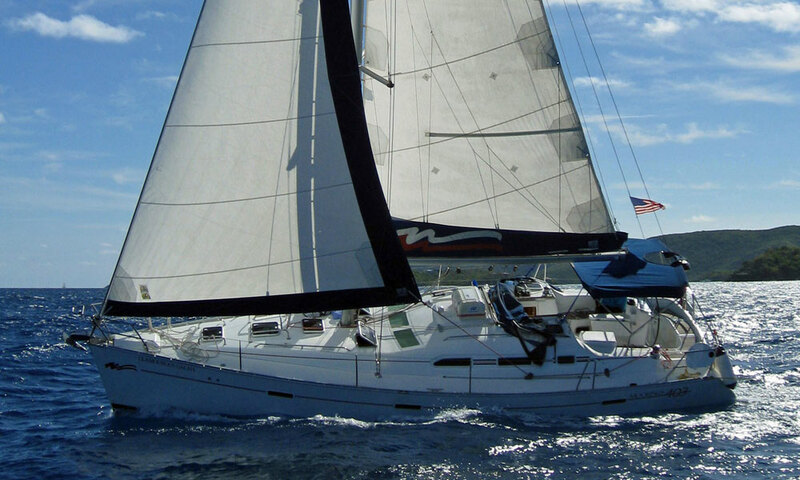 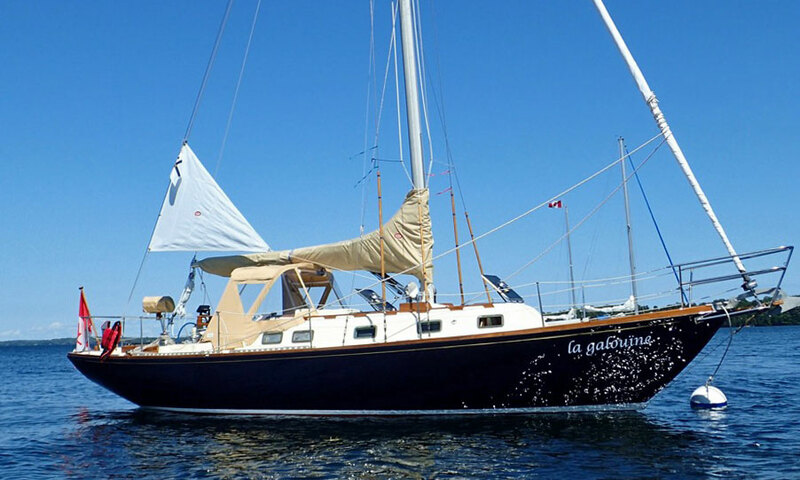 She's based in Annapolis MD and spends her days sailing to local destinations with a few over-nighters. 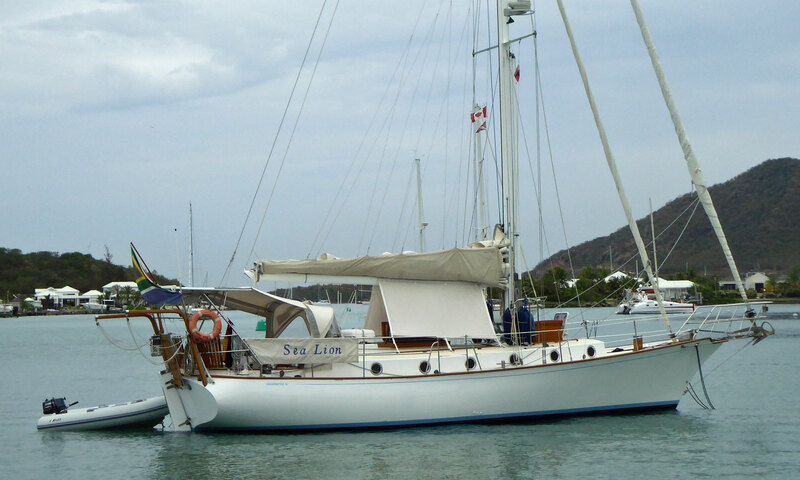 Hull Type:~ Fin keel with skeg-hung rudder. 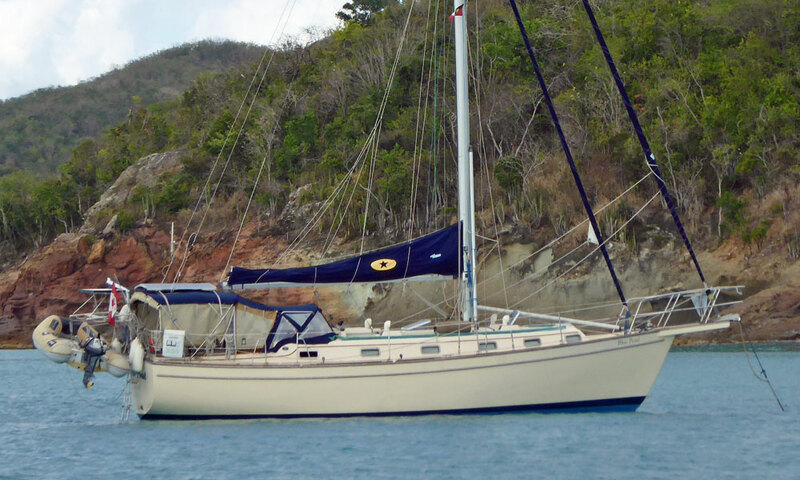 Hull Type:~ Fin keel with skeg-hung rudder. 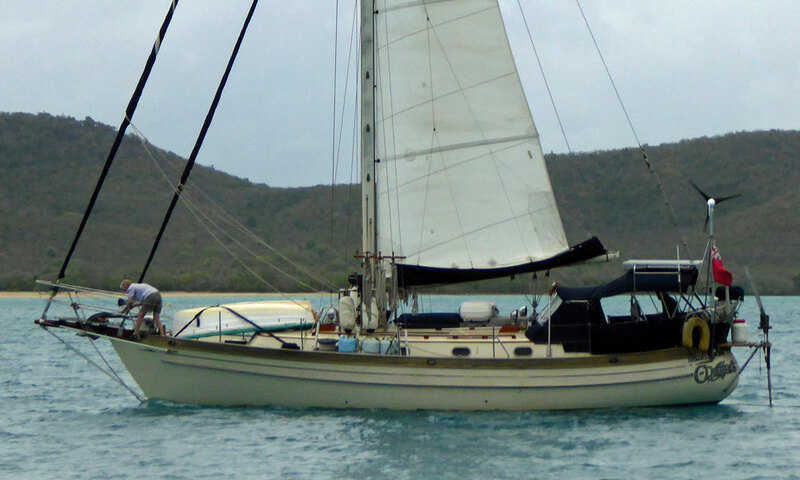 There is also a shoal draft version with a Scheel keel, and a centreboard version. 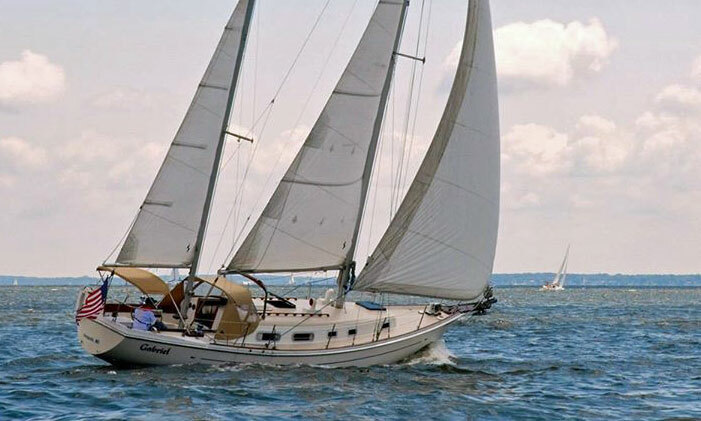 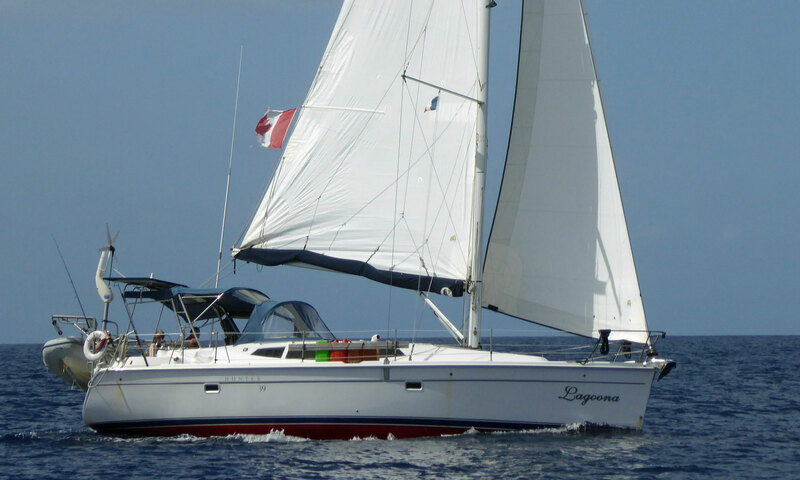 Of all the cruising yachts on this page, the cutter-rigged Rival Bowman 40 would be my choice for long-distance sailing.